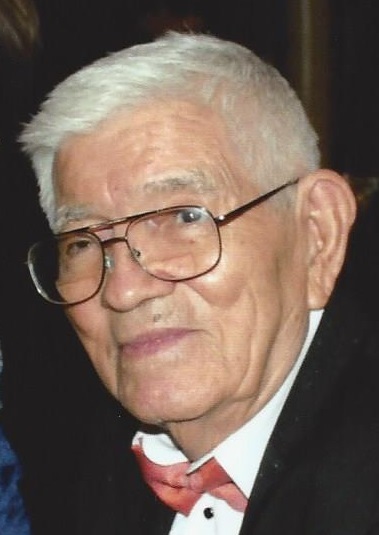 Frank T. Medina, 92 of Hammond, passed away peacefully on Sunday, February 10, 2019 at the Munster Med-Inn. He is survived by his beloved wife of 63 years, Odette (nee Gali Roux); loving father of Terry (Mike) Borgetti, Frank (Laura) Medina, Eugene Medina, Albert (Camille) Medina, Tinnah (late Gabriel) Medina, Monica Barry, late Gabriel Medina and special family friend, Chip Johnson; cherished “Pa” of Maria Borgetti, Rachel (Paddy) Schreiber, Allison (Ben) Rosen, Patrick (fiancée, Sofia Acosta) Barry, Michael Barry, Matthew Medina, Marina Medina; proud great grandpa of Gianna Falk. Frank Medina was born on June 16, 1926 to Ausencio (Torres) and Josefina Medina in Pueblo, Colorado. He was a longtime resident of the Calumet Region and was a member of St. Margaret Mary Church, Hammond. Frank was a US Army Veteran of the Korean Conflict attaining the rank of Corporal. He retired as a machinist from the Inland Steel Company, East Chicago with a service of 43 years. Frank enjoyed traveling the country in his RV, tinkering and creating projects. His motto was, “Why buy it when I can make it?”! The family would like to offer special thanks to his caregivers, Maria, Teresa, Dolores, Lupe, Elena, Nancy, and Fernanda. We also wish to thank the Companion Care organization as well as the ladies of St. Margaret Mary Prayer Group for their compassion, friendship and spiritual support. Devoted to his family, Frank will be sadly missed by all who knew and loved him. In lieu of flowers, memorials to Debbie’s Dream Foundation (stomach cancer), Two South University Drive, Suite 326 Plantation, FL 33324 (954) 475-1200 DebbiesDream.org or the Lewy Body Dementia Assoc., 912 Killian Hill Road, S.W. Lilburn GA 30047 (404) 975-2322 www.LBDA.org would be appreciated.